The Research and Development (R&D) Tax Credit was first enacted in 1981 and is now permanent, yet it continues to be one of the most misunderstood areas of tax law. Year after year, small and mid-size businesses continue to miss out on the opportunity for huge tax savings because they either don't realize they are eligible for the credit or don't understand how many of their expenses could qualify. This guide is intended to help you better understand the R&D Tax Credit so you can determine if exploring this opportunity is right for your business. Don’t miss out on the opportunity to reduce your tax liability and reinvest your savings to become more competitive, grow faster and increase the profitability of your business. The bottom line is that the R&D Tax Credit is not just for large technology, medical device or drug companies. "Research and Development" also applies to manufacturers of all sizes. In fact, 70% of all R&D credits are claimed by manufacturers. "I am amazed how many manufacturers do not realize or understand the IRS's definition of R&D Tax Credits,” says Benjamin Rashleger, the former President of WSI Industries. “If you make or improve a product or a process, either for yourself or your customer, you have activities that qualify for the R&D Tax Credit. This credit can substantially reduce your Federal and State tax liability." Watch our short video on how we saved one client enough to buy a huge piece of game-changing machinery with the R&D Tax Credit. Better yet, the credit applies to more than just the deals you win. Competing for a project you don't get, or making changes to an existing project also qualify. Working on a new business proposal? That work is qualified, even if you don’t get the business. Manufacturing another size of an existing product, or making changes to use a new material? Qualified. 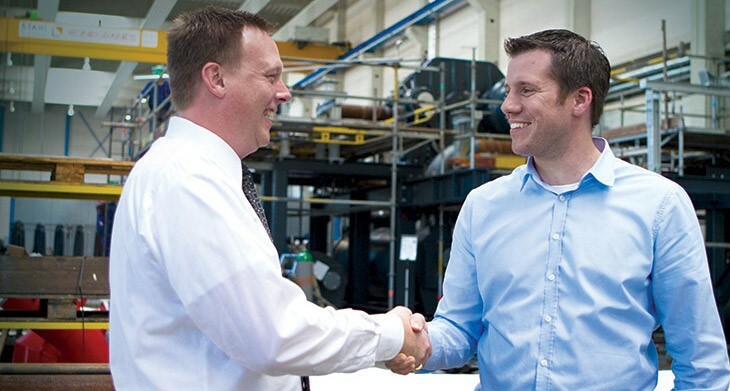 Retooling machinery to improve the manufacturing of an existing product? Qualified. 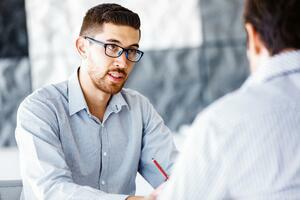 So, how can you uncover the hidden R&D expenses that qualify for the credit? The most effective way is to work with industry experts to comb through your manufacturing processes from start to finish to identify the tasks and man-hours that may qualify. Then they’ll apply the IRS’s Four-Part Test to every element and calculate the total qualified expenses available to claim as an R&D tax credit. When conducting a Research and Development (R&D) Tax Credit study, one of the most often overlooked aspects of custom manufacturing is the time, effort, and cost to acquire and retain customers. It takes research and development to create new manufacturing processes or products for new customers, and to modify and improve them for current customers. So a thorough review could identify huge tax savings. This involves time spent in meetings, phone discussions and email exchanges related to gaining a sound understanding of the general requirements (fit, form, function) of the project. Remember, if a current customer wants to discuss changing the materials in an existing part, or adding new sizes, this still qualifies — even if they decide not to go forward with the changes. This includes activities related to developing, researching, reviewing, evaluating, or improving/modifying materials and designs (like manufacturers recommendations, alternative quotes, and ECNs). This would involve the review and sign-off on drawings, schematics, and other technical specifications. 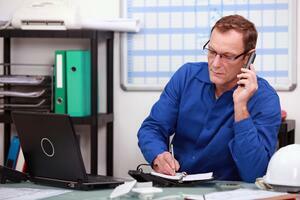 Sales department-driven — In this situation, the salesperson, sales engineer, or both will determine the price. Estimating department-driven — In cases like these, the sales department hands the design to the estimating department to determine the price. Cross-functional team-driven — This model involves individuals from a number of departments and is typically used when an order is over a certain dollar threshold, is high-volume, or is particularly complex or risky. In certain situations, a prototype will be developed to confirm pricing hypothesis based on real data. Unless you're updating existing quotes due to changes in material cost, any individuals participating in quoting activities likely qualify for the R&D credit. If the intent is to develop or improve a product or process to improve performance, reduce cost, or improve quality due to a customer’s requirements, the activities likely qualify for the R&D credit. For everything above, it’s important to remember that the same criteria apply to both customers and prospects related to time spent developing or improving a product or process. It doesn’t matter whether you win the business or not. This applies to the research and development, not the delivery. And sales-related activities are not limited to “salespeople.” Sales activities may also involve the owner, general manager, sales management, sales engineers, quoting team, engineering, design team, and shop floor manufacturing support (for both tool and fixture design). Design meetings (both internal and external) with a customer or prospect may also qualify as R&D activities eligible for R&D tax credits. As a general rule, "design" is comprised of three elements known as FFF: form, fit, and function. To qualify for R&D tax credits, each “F” must be discussed. Fit — The ability of a part to physically connect to, interface with, or become an integral part of another part. For example, for a screw to fit correctly in the final product, it must fit within the specifications for the space around the screw relative to a faceplate hole. Function — The action(s) that a part is designed to perform. In our example, the screw is intended to hold other parts of the product together. Often overlooked is the fact that design meetings typically begin early in the sales cycle and continue up to the point of production. By tracking your meetings and documenting discussion topics, you may be able to secure valuable tax credits that will help your company grow. For metal fabrication projects that require flat blank layouts, your team must complete a number of tasks, including programming and figuring out how to utilize raw materials in the most cost-effective way possible. While order fulfillment is the ultimate goal, the steps you take from design to finished product could yield more than just a satisfied customer. What is the most efficient way to use the material? What is the best way to nest the flat blanks to reduce material cost? How large of a web is needed (how close can each part be to the next part) to support the part through the laser or punching operation? The answer to all of these questions depends on the flat blank and the programmer or engineer evaluating the alternatives. But when it comes to potential tax credits, the solution isn't nearly as important as the process. That's because all of the activities involved in evaluating alternatives and experimenting with materials are qualified R&D expenses. Designing new tooling to manufacture a product can also qualify for the R&D tax credit. In fact, time related to both the building and the trial of the tools could qualify. Once design and building are complete, portions of the trial phase may also qualify as R&D activities. 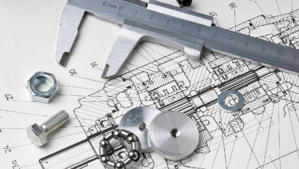 The time spent in the trial process by engineers, tool designers, tool makers, apprentices, shop floor personnel during try-out, quality labs, and all direct supervisors would likely qualify for the credit, as well. Often times, the qualified expenses that help improve your engineering process require new equipment. 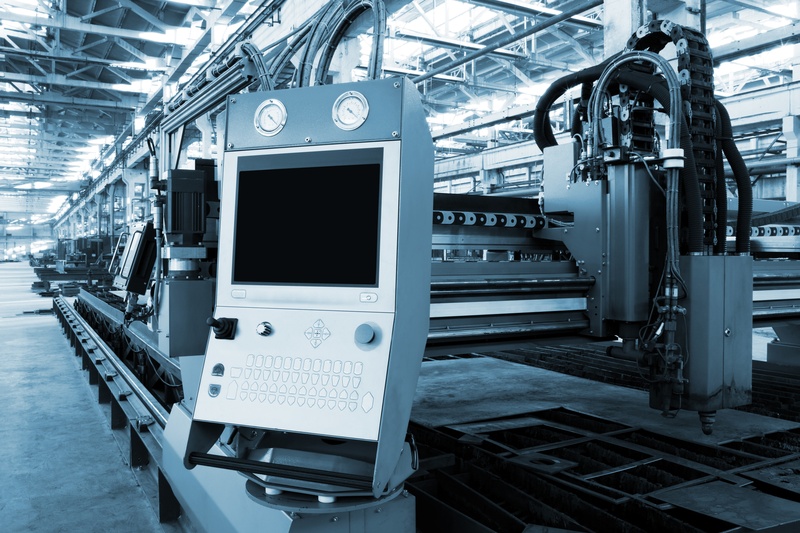 And whether it’s purchased to manufacture a new product or streamline production of an existing line, the time spent researching, evaluating, learning, configuring and testing the new equipment frequently qualifies for the R&D Tax Credit. For example, evaluating equipment and vendors can qualify, along with equipment startup (including supplies and first-time set-up for each job). What you do on an ongoing basis to reduce cost, improve operational efficiencies, reduce time-to-market, and improve product quality, performance, and reliability are all potential candidates for additional R&D credits. In manufacturing, proof of concept (POC) steps are often as diverse as the products being produced. 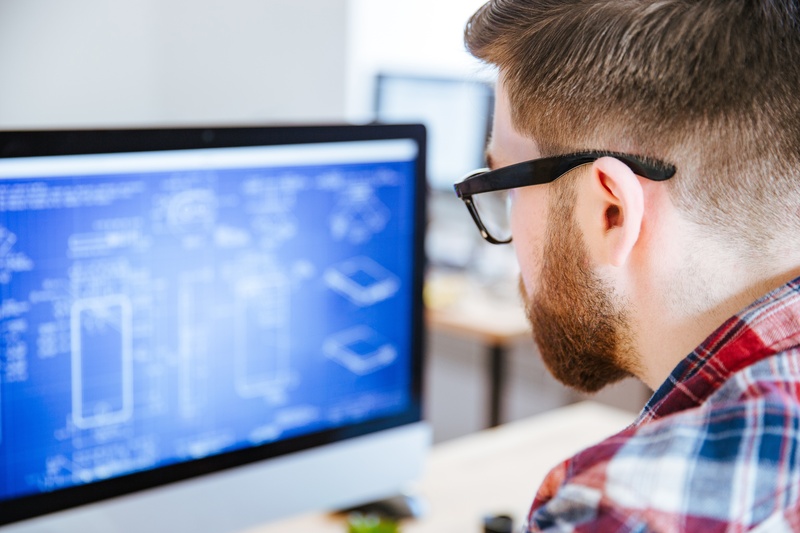 From reviewing CAD files to building prototypes, the POC stage is shaped by customer needs, cost considerations, and a host of other factors. But as wide-ranging as customer POC processes can be, many of them offer an opportunity to reap valuable R&D tax credits. 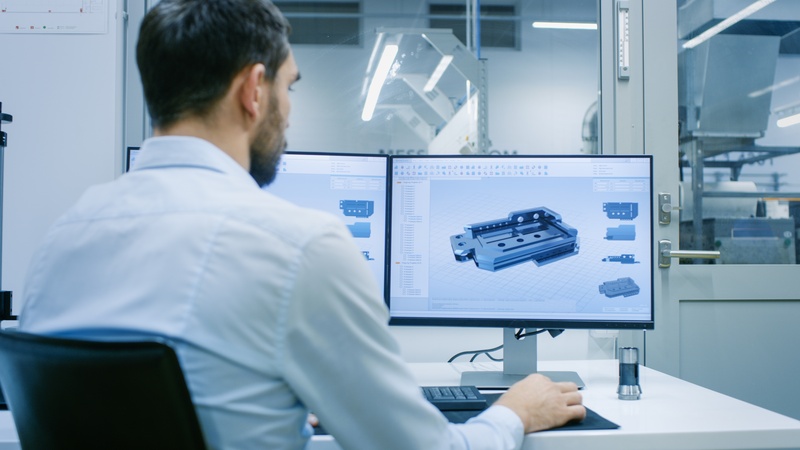 The time and effort your company spends in the fit-form-function stage (including programming, engineering, and producing the soft tools or 3D print) to provide your customer sample parts often qualify for R&D tax credits. This is true even though your customer is paying you a fee for providing the service. Qualified activities would be processes that can be accurately repeated, along with documentation of modifications made to the original process. Unqualified activities would include any manufacturing of existing products with no design or revision changes. 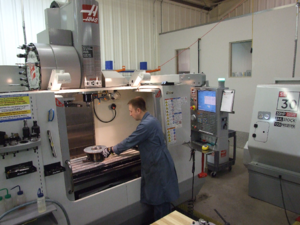 Trial production runs are essential for making sure products are manufactured to your customer’s requirements. The trials allow for inspections and reviews to determine not only if the product meets your customer’s requirements, but also whether your manufacturing processes are being executed efficiently. One of the most useful metrics in any trial production run procedure is the first pass yield rate. This measures the number of parts produced during a production run that don't require reworking. While the goal will always be a 100% first pass yield, that isn't usually the case. The work you do adjusting the production line (tools, equipment, processes, etc.) to increase the yield rate could also potentially qualify for R&D tax credits. Essentially, any first manufacturing run that allows personnel to check for and address production issues would qualify for credits. Conversely, any repeat orders of existing products with no design or revision changes would not qualify. 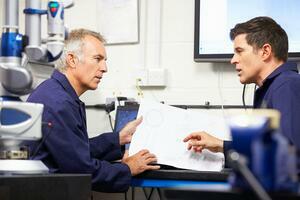 Quality control is a key component of developing or improving any production process. Therefore, the time and expenses related to ISIR/PPAP and trial production runs may qualify for the R&D credit. You may use a Production Part Approval Process (PPAP) and an Initial Sample Inspection Report (ISIR) to assure quality. PPAP has been adopted by manufacturers across all industries as a way to demonstrate the quality of their products and processes to customers. Because the process involves testing and verification of your internal new production processes, it may qualify for an R&D tax credit. However, meeting tax credit requirements will ultimately come down to the specific elements documented in your PPAP submission. Design records with all specifications documented. Engineering change documentation (may include an Engineering Change Notice (ECN). Design Failure Mode and Effects Analysis (DFMEA). Process Failure Mode and Effects Analysis (PFMEA). Records of material and performance testing. Regardless of which elements you ultimately include in your PPAP submission, the most important thing is that the process is defined, monitored, improved, and documented. This documentation will be essential for securing the R&D tax credits needed to help your company grow. Hire a packaging engineer to design unique product custom packaging. Search for new materials because of environmental impact concerns or regulatory compliance changes. Optimize packaging size and flow through the process. 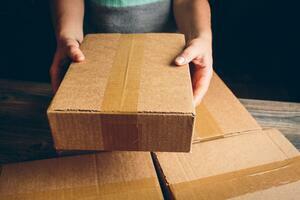 Take steps to streamline the packaging process to lean events and reduce cost. Design reusable boxes or custom cell dividers. Research or test boxes to reduce the “flute size”, minimize dunnage or cut cost. What matters is that the activity is intended to improve the packaging for cost, quality, or reliability. Now that many of the often-hidden R&D expenses have been identified, it’s time to work with the experts to identify exactly what activities qualify for your business and the tax implications of those activities. In order to qualify for the Research and Development tax credit, all activities must meet the elements of this Four-Part Test. Permitted Purpose. This is the activity intended to make or improve either a product or process that results in improved function, performance, reliability, quality or cost efficiency. Technical Uncertainty. This is the activity intended to eliminate technical uncertainty when developing or improving a product or process related to methodology, design, techniques, formulas or inventions. Process of Experimentation. This is the activity that includes a process of experimentation to eliminate or resolve technical uncertainty. During the process, various alternatives and approaches are evaluated by modeling, simulation, trial and error, prototyping and other methods. Technological in Nature. The process of experimentation must rely on the hard sciences (engineering, physics, biology, chemistry, computer science). Check out our blog post if you’d like to learn more about the Four-Part Test and what it means for manufacturers. Once you’ve identified which activities pass the Four-Part Test, the real fun begins - calculating the total Qualified Research Expense (QRE). For each employees, multiply their annual salary (as reported in box 1 on their W-2) by the percentage of time spent on qualified R&D activities to determine their research wage expense. Sum each employees research wage expense to calculate the total qualified wage expense. Add any research contract expense (the IRS defines a "contract expense" as only 65% of the total wages paid to contracted employees). Lastly, add in research supply expense (includes any supplies consumed while carrying out qualified research activities). With the final qualified research expense (QRE) number in hand, a general rule of thumb is to multiply that number by 7% to arrive at the amount of your Federal IRS tax credit. The 7% number is a good estimate for illustrative purposes and will vary based on a number of technical tax considerations which your R&D partner will be able to determine. In addition, a state credit may also apply. Remember, the R&D tax credit was created to encourage the development of new and/or improved products or processes. Don’t miss out on the opportunity to reduce your tax liability and reinvest your savings back into the business to become more competitive, grow faster, and increase profitability.